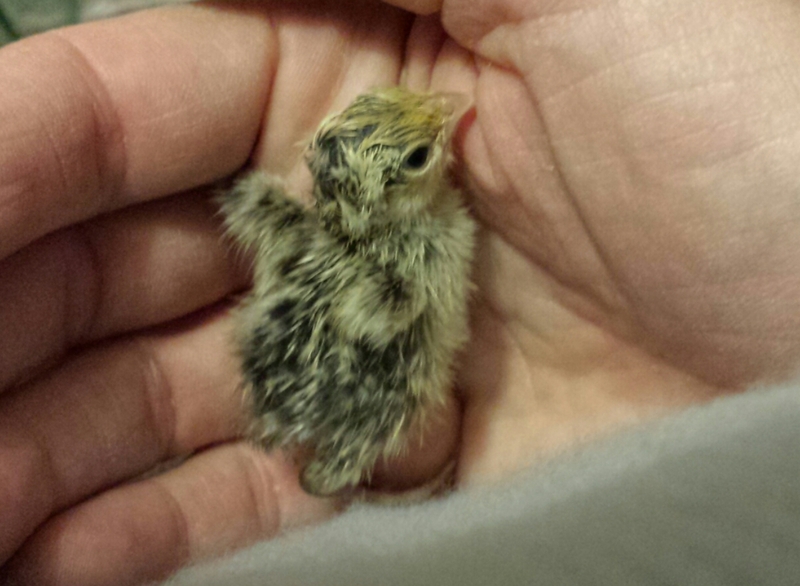 Previously I mentioned the bobwhite quail but not that I had tried to hatch 3 colours with eggs from 2 unrelated sources. Snowflake bobs are ultra rare with pairs going for £80 or more. I got 2 lots of snowflake eggs from different sources along with the other colours I was less interested in. None of the snowflake ones hatched. I had 0/12 and 1/9 before lockdown (last few days of incubation with very high humidity) but even that 1 didn’t hatch… Both sellers gave me more eggs. This time going into lockdown I had 2/12 and 2/10. Of these 1 hatched from one lot and both the other 2 of the other lot 🙂 However, the 1 of the one lot is not a snowflake but the wrong colour 😦 and the 2 snowflake ones are probably too closely related to be bred 😦 but they are lovely, as is the wrong coloured 1, who is dark brown with a white bib. I’ll add a photo shortly.